This entry was posted on January 29, 2019 by Amberley Publishing. Railways have been around in this country for nearly two hundred years, and there have been many significant milestones when documenting their place in British Social History. In the early days, they were the only way to travel as they pre-dated both motor car and aeroplane. They were also instrumental in giving the UK a standardised time for us all. Often taken for granted, they helped deliver day to day necessities such as the milk, the mail and fresh meat, fish, fruit and veg to our towns, if not directly to our doors. On a more sombre note, they played an extremely important part too in the country’s efforts during not one, but two, World Wars. Times change of course, and our railways have seen many changes since those early days of the iron road from Stockton to Darlington. Steam locos have been replaced by diesel ones, and these diesels have in turn given way to electric power. For many, though, the railways’ usefulness has been superseded by private car and commercial lorry. Some of us opt to fly between the UK’s towns and cities. Our railways have been nationalised, and subsequently privatised, with a drastic streamlining under the Beeching Axe carried out between the two. One significant outcome of privatisation was the 1990’s creation of the company that was to handle much of the country’s rail freight movement. 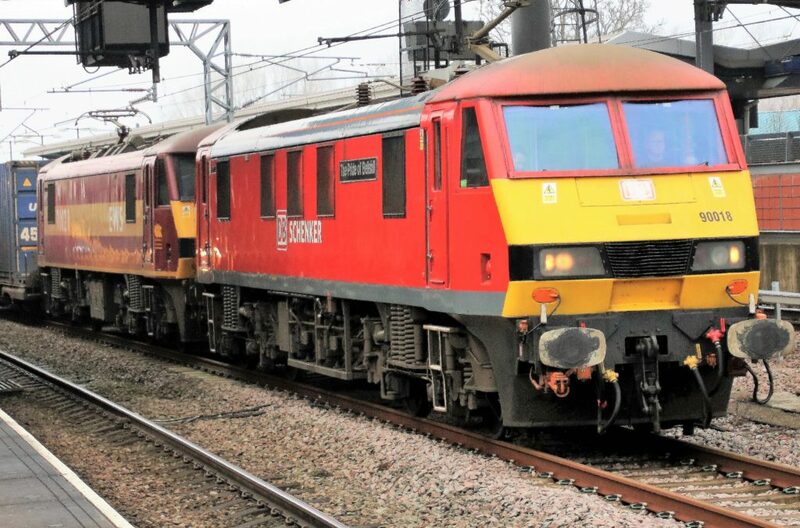 English, Welsh & Scottish Railways (EWS) inherited much of British Rail’s freight related assets and that company, in turn, evolved into DB Cargo today. 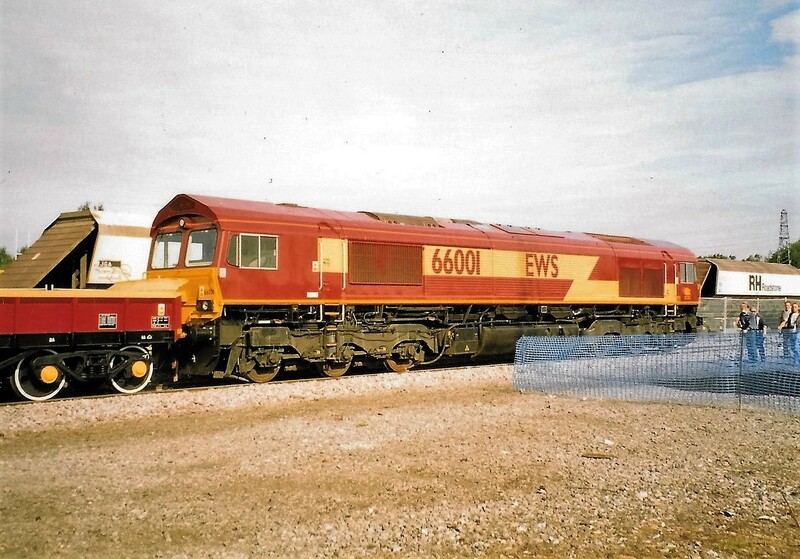 In 1998, the company proudly displayed their first few examples of their Class 66 locos. This unveiling was a hint of what lay ahead. Older locos were deemed life expired or unsuitable to meet the company’s future plans. They were to be replaced by this new order. It was an order that would see two hundred and fifty Class 66 locos delivered in a little over two years. This display, at the company’s new home at Toton on the Derbyshire & Nottinghamshire border, was held over the weekend of August 29th & 30th 1998. It was seen by many, myself included, as an endorsement of promising times ahead in the rail freight sector. That promise may not have been totally fulfilled but the DB Cargo owned examples of this class, together with a mixed bag of loco survivors from a previous era, have earned their place in the annals of railway history. My sixth title for Amberley, ‘DB Cargo Locomotives & Stock in the UK’, takes a look at the workings of the company in the 21st century. Like them or hate them, these Class 66 locos, or ‘sheds’ as they quickly became known, form the basis of our hobby for the many enthusiasts who rise to the challenge of trying to see the whole of this UK class during each calendar year. Many of the 250 class members on DB’s books have since found permanent work aboard, leaving around half on them based in the UK. Before those loco despatches to mainland Europe, I recall the red-letter day when I saw loco number 66222 pass through the high level platforms at Tamworth station, meaning I had seen all 250 EWS locomotive examples (as they were then) through the Staffordshire town. A mix of diesel and electric locomotives meet today’s DB Cargo needs. The book’s pages take a look at the variety of workings on which they are found. Whatever the level of interest of today’s rail enthusiast, the place of DB Cargo in the freight sector in particular can’t be ignored. A browse through the pages of this book gives an indication as to why. 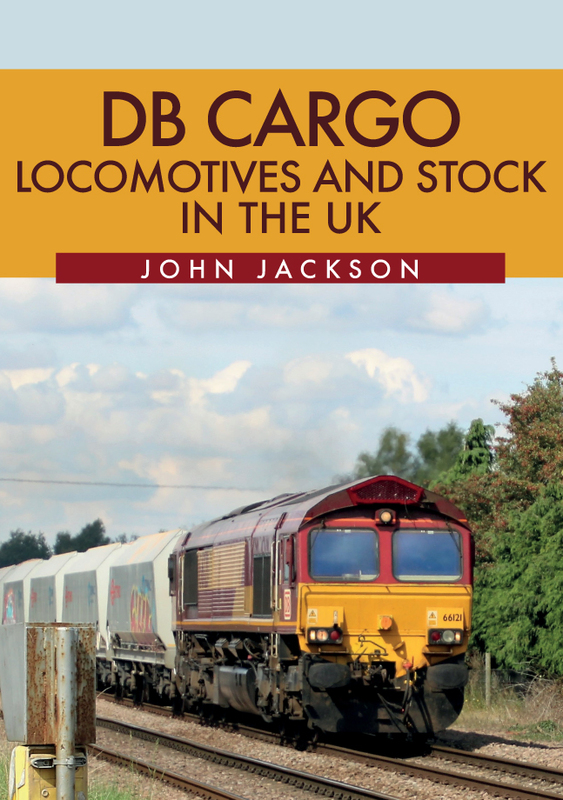 John Jackson's new book DB Cargo Locomotives and Stock in the UK is available for purchase now.